I pretty much regard Joshi as my GP. He would be the first person I’d turn to for medical advice. Joshi started his career as a registered osteopath in the UK, and his reputation began to grow when he brought dancers at the Royal Ballet back to health from injuries with remarkable results. His success was down to the fact that he realised the dancers needed more than just osteopathy – they needed targeted nutrition to help their bodies heal properly. Seeing the dancers thrive with his combined treatment was a ‘lightbulb moment’ for Joshi, and he realised optimum health could only be achieved if a holistic approach was used. It was during this time Joshi met and started to treat the late Diana, Princess of Wales. They soon developed a deep friendship, and Joshi credits her with being the driving force behind his truly holistic approach to medicine. Not only did Diana encourage Joshi to go back to India to further his medical training, but also urged him to train in the traditional Ayurvedic medicine his Brahmin family had used for centuries. 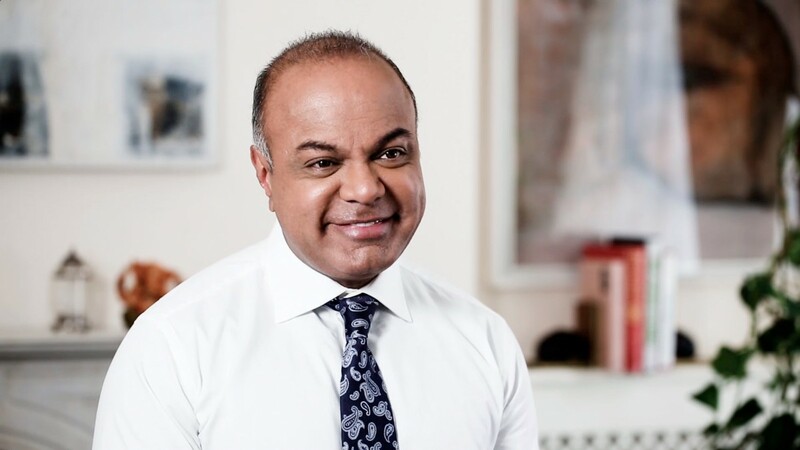 Along with his osteopathic medical training, he pursued his passion for holistic healthcare with further training in nutrition, acupuncture, metabolic detox, herbal medicine and Ayurvedic medicine. He is registered with the General Osteopathic Council. Joshi’s deep commitment to treating the whole person has made him one of the most well-known holistic health practitioners in the UK. He opened The Joshi Clinic in 2002 and sees private clients in major cities worldwide including New York, Dubai and Moscow.